Jack Ma is a Chinese business mogul, investor, co-founder and executive chairman of Alibaba Group. He is one of the most powerful personalities in the world who frequently makes it to “World’s Most powerful People” list by Forbes. With a fortune of US$42 billion (as of February 2018), he is one of the richest men in China, as well as one of the wealthiest people in the world. In 2017, he was ranked 2nd in the annual “World’s 50 Greatest Leaders” list by Fortune. Jack Ma was born on 15 October 1964, in Hangzhou, Zhejiang, China. He’s currently 54 years old. After his school studies, Jack Ma enrolled at the Hangzhou Teacher’s Institute (now Hangzhou Normal University), graduating with a B.A. in Englis. He later attended Cheung Kong Graduate School of Business and graduated in 2006. Kack Ma tied wedding knot with Zhang Ying, whom he met while studying at Hangzhou Normal University, in late 1980’s. Together, they have a son and a daughter. His body specs like chest, biceps and waist are unknown. After graduation, he briefly worked as a teacher along with his wife Zhang Ying before moving to US from where his business endeavors kicked started. He and his friend founded a company called “China Yellow Pages” which had something to do with website creation for businesses. His company saw an exponential growth that within three years, he was able to make $800 thousand. In 1999, he found this company “Alibaba”, a China based business-to-business marketplace site with a team comprising of 18 members. The company soon went public and attracted several million dollars in investment emerging as a global e-commerce platform. Today, his group of companies, Alibaba and its subsidiaries, is one of the world’s largest and most valuable tech companies valued at several billion dollars. He also owns several other companies across the globe. In 2017, Jack Ma entered the acting industry with his first kung fu short film Gong Shou Dao. It was filmed in collaboration with the Double 11 Shopping Carnival Singles’ Day. Jack Ma has a net worth of $42 billion US dollars as of February 2018. 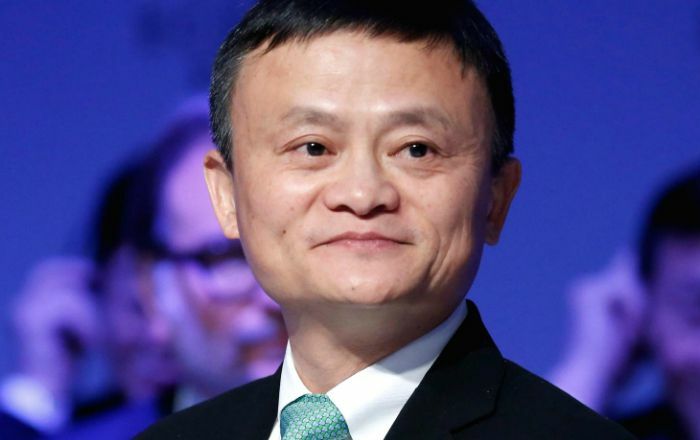 Ma’s wealth mostly comes from his 6.3 percent stake in Alibaba Group Holdings, roughly 160 million shares, and the online payment service Alipay. He also has stakes in several companies including Taobao Marketplace, Tmall, eTao, Alibaba Cloud Computing, Juhuasuan, 1688.com, AliExpress.com, to name a few. Ma owns several expensive properties worldwide including the 9,890-square-feet luxury house in Hong Kong which he bought recently for a whopping $193 million. He also purchased a 28,100-acre property in New York’s Adirondacks for $23 Million. He may not be the world’s richest person , but he owns some of the world’s finest cars like BMW 760Li, Mercedes Maybach 62S and private jets like Gulfstream 550, amongst others. He’s not on social media. Growing up, Ma learned English on his won by speaking with English-speakers at Hangzhou international hotel. He used to travel 70 miles on his bicycle to give tourists tours of the area to practice his English for nine years. One of his pen pals nicknamed him Jack as he wasn’t comfortable pronouncing his original name. After graduation, he didn’t get select in any company even after applying for 30 different jobs. He even applied for a job in KFC, but was rejected. In addition he applied 10 times for Harvard and got rejected. in 1995, he found China Yellow Pages, the first internet company ever established in China. In 1998, he was hired to head an IT company set up by the China International Electronic Commerce Center, which falls under the Ministry of Foreign Trade and Economic Cooperation. He quit his job in 1999. In 1999., Jack Ma founded Alibaba.com, a business-to-business commerce site. Since that, Alibaba has grown exponentially becoming one of the largest online marketplace in the world. Ma is a board member of Japan’s SoftBank and China’s Huayi Brothers Media Corporation. He became a trustee of The Nature Conservancy’s China program in 2009 and joined its global board of directors in April 2010. In 2004, China Central Television and its viewers selected Ma as one of the “Top 10 Business Leaders of the Year”. Forbes China also selected him as one of the Top 10 Most Respected Entrepreneurs in China by in 2009. Ma received the 2009 CCTV Economic Person of the Year: Business Leaders of the Decade Award. In October 2017, Ma was given an honorary degree of Doctor of Science in Technopreneurship from De La Salle University Manila, Philippines. Ma has often been invited to lecture at universities such as the Wharton School at the University of Pennsylvania, Massachusetts Institute of Technology, Harvard University, and Peking University.